All too often, kids don’t have the school supplies — pens, paper, notebooks and more — that they need to succeed in school. Teachers struggle to fill the gap without the resources they need. So this July, join us for Supporting Our Schools. For the second straight year, NBC10 Boston, necn, Telemundo Boston and other NBC- and Telemundo-owned television stations are partnering with several nonprofits, including Big Brother Big Sister Foundation and DonorsChoose.org, to raise donations of supplies and cash. We’ll be telling stories through the end of July from Boston and beyond to raise awareness about what can be done to help students and teachers thrive. 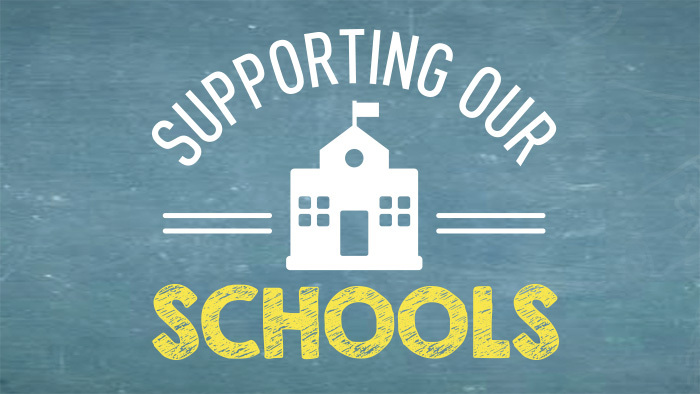 This July we're Supporting Our Schools by collecting supplies and donations to help students and teachers get access to the materials they need to have a successful school year. Learn how to donate. DONATE HERE to public school classroom projects or stop by the locations below from 6 a.m. to 6 p.m. to drop off donations of backpacks, pens/pencils, notebooks and other school supplies during one of our Weather Warrior collection days. Come on out and meet members of the NBC10 Boston, necn and Telemundo Boston teams, along with Brady, the NBC10 Boston "Puppy With a Purpose," and other local special guests.